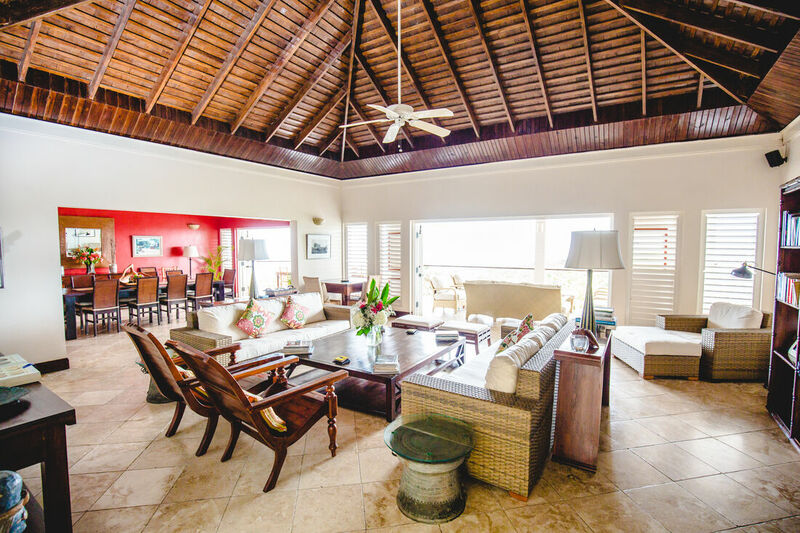 Haystack Villa is one of the newest villas within the celebrated and exclusive Tryall Club estate. 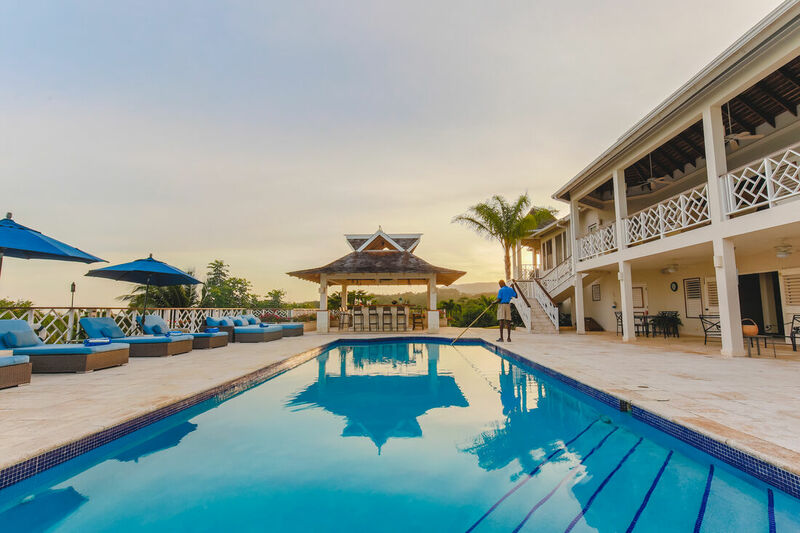 The highest rated premier villa in Tryall Club, the gorgeous and very welcoming Haystack Villa provides an unmatched vacation experience in elegance and serenity. 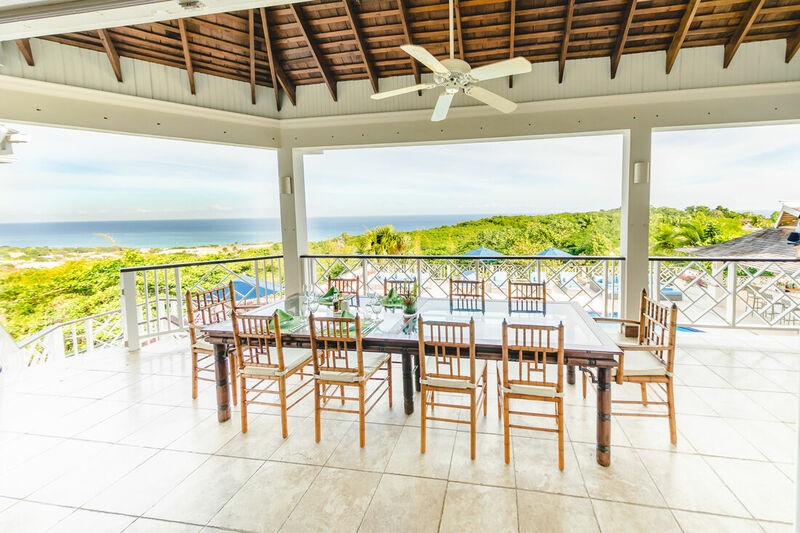 Brilliant views of the Caribbean Sea set the backdrop for this majestic villa, styled in British Colonial architecture. 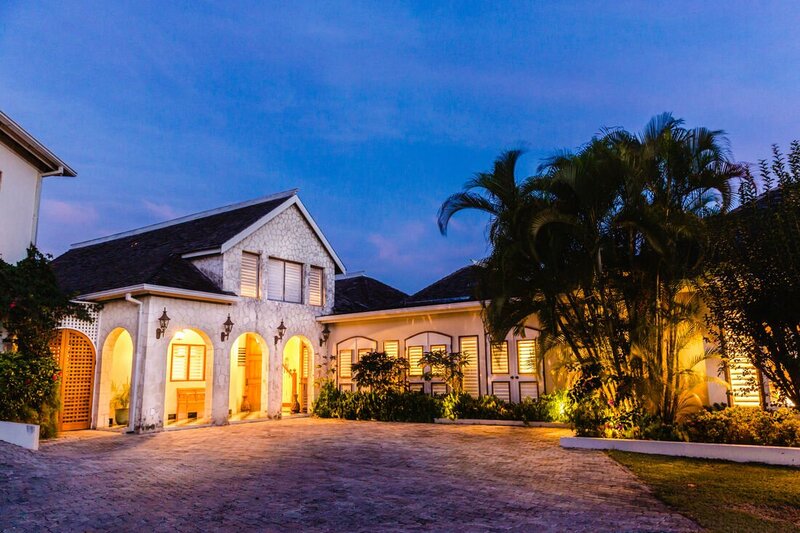 Enjoy the grandeur of Haystack, Tryall's newest and most spacious, deluxe 8 bedroom villa in Jamaica! 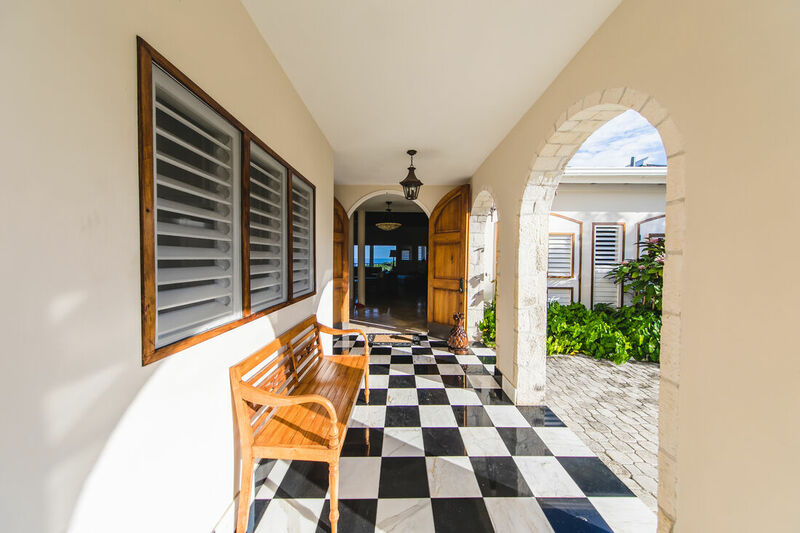 Classic black and white marble tiles set the stage for a grand welcome into a very attractive gallery and arcade at the expansive Haystack Villa. 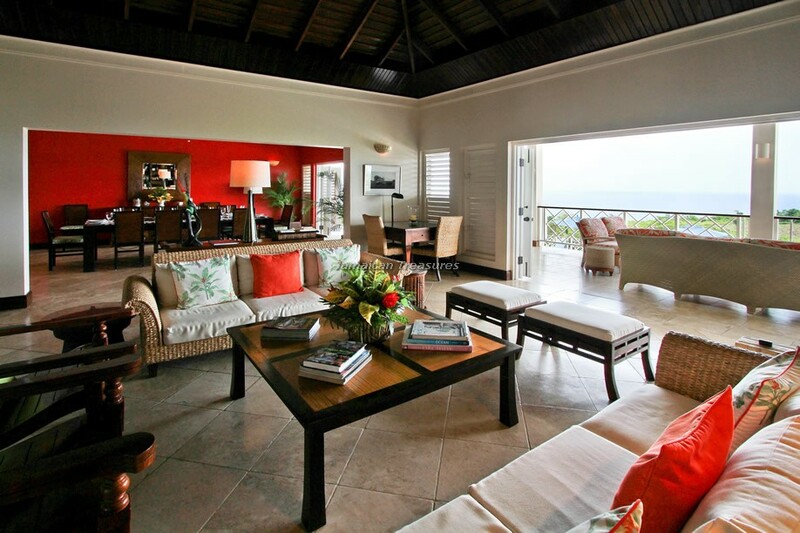 A warm and inviting living room takes centre stage, resplendent with beautiful furniture and lovely arrangement. 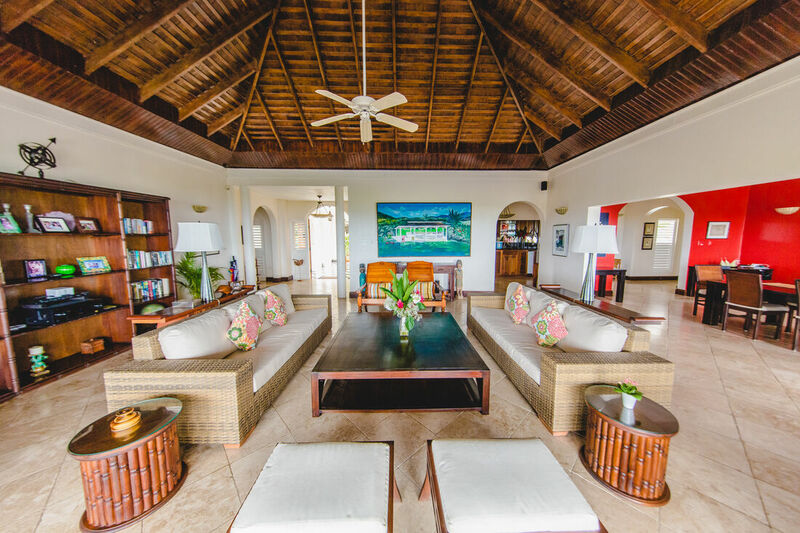 Perfect for tropical vacations the large living room opens out to the large outdoor verandah and the sparkling Caribbean Sea. 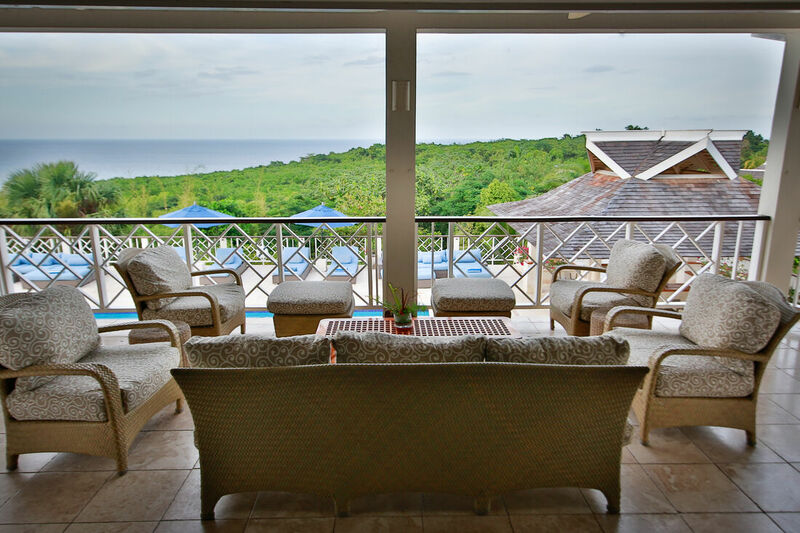 Guests can enjoy amazing views of the large swimming pool from the verandah. 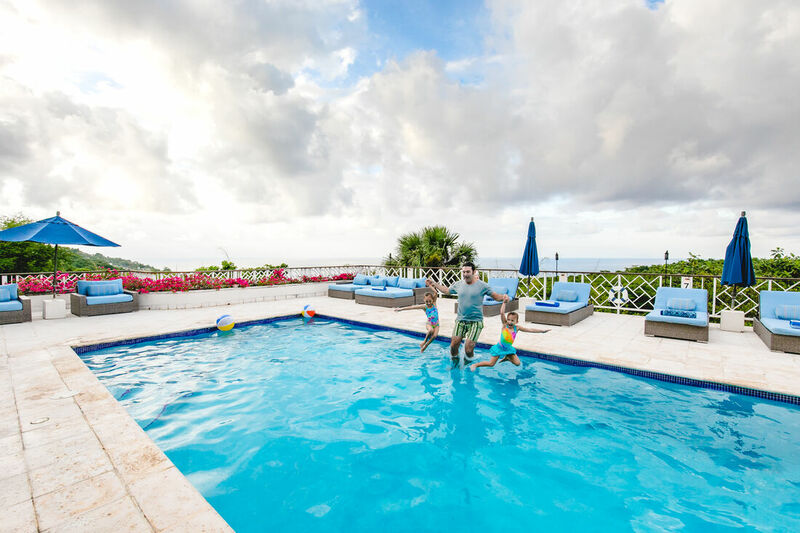 Downstairs, the pool level has the spacious family room with ping pong, foosball, games table and a 44” flat screen television. 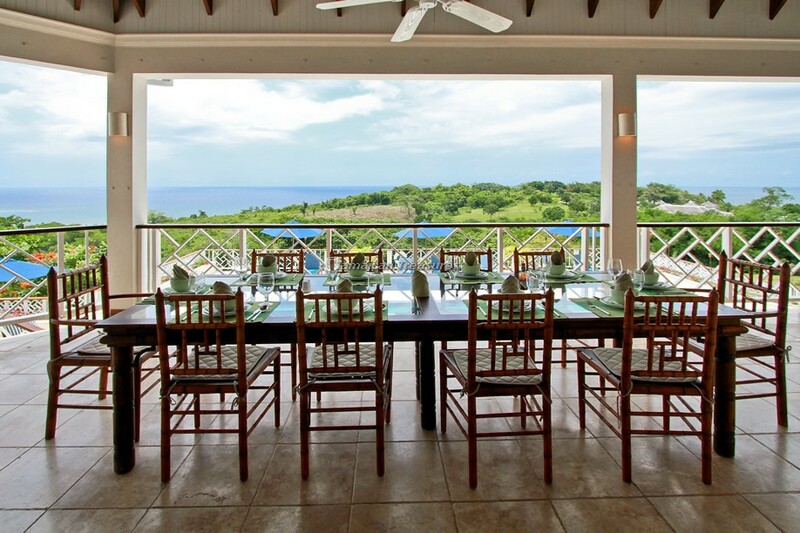 The grand pool deck is excellent for dining outdoors while enjoying the grandeur of this magnificent mansion. 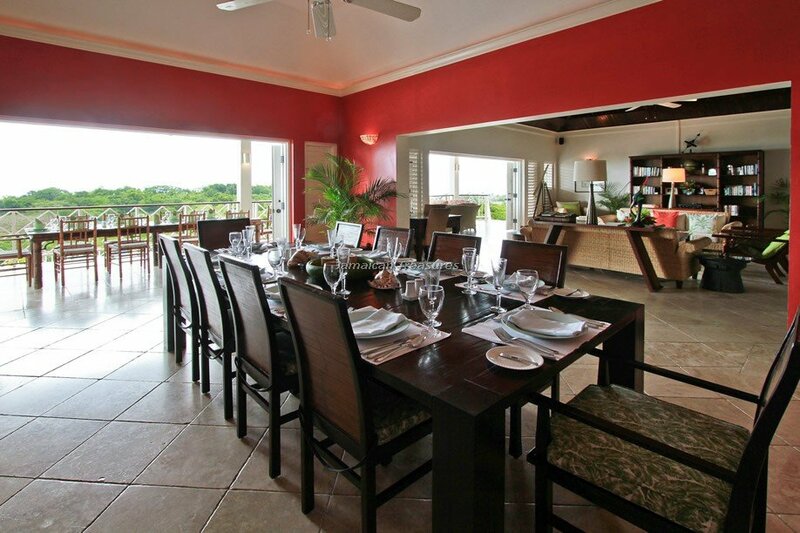 Dining is an occasion to celebrate the ‘joie de vivre’ in the magnificent dining room with red walls and seating for twelve at the regal dining table. 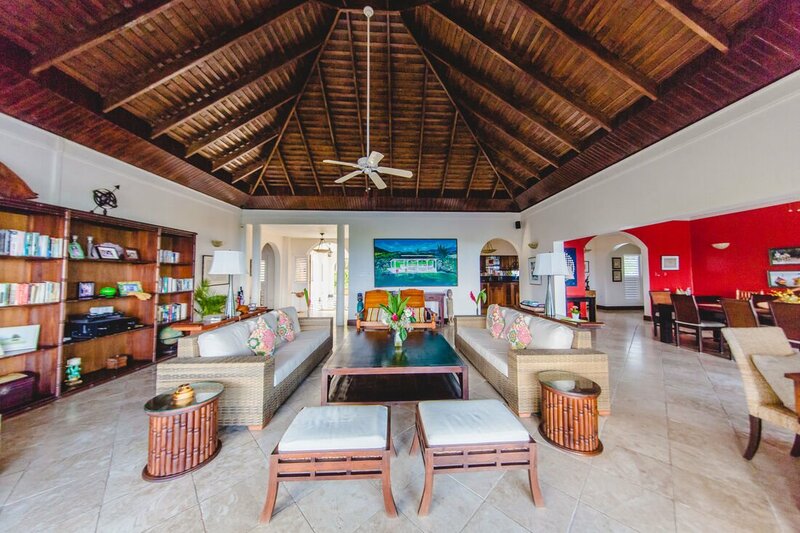 For those who wish to stay connected to the rest of the world, Haystack Villa has a study equipped with modern communication facilities including high-speed wireless Internet access. 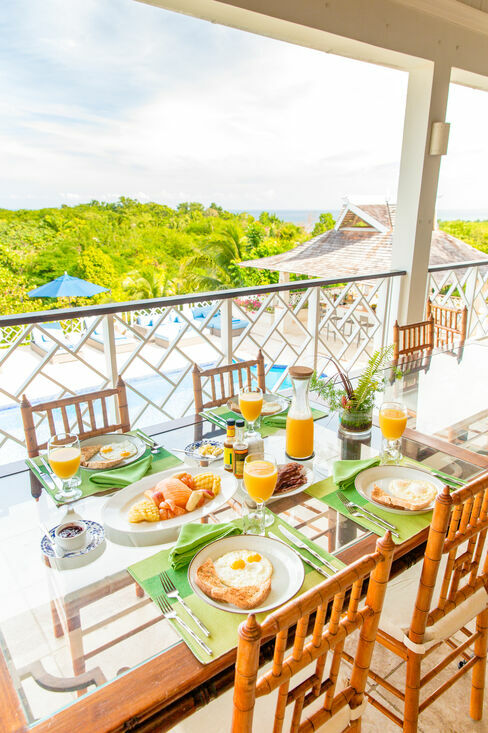 Haystack Villa has eight charming bedrooms. 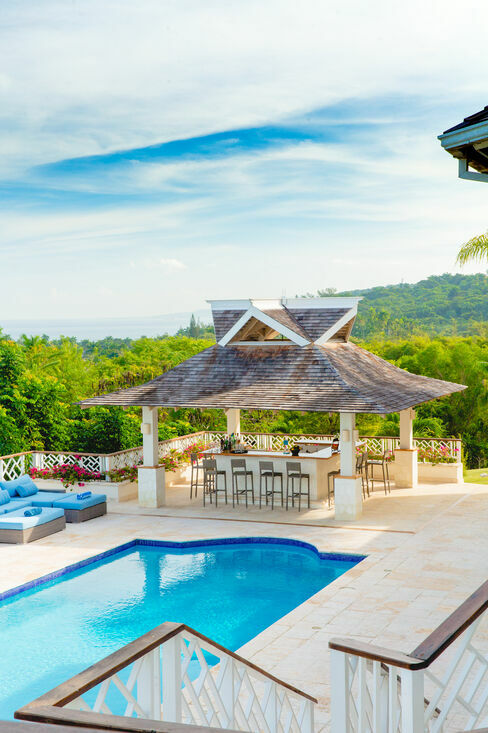 With attention to detail in every room, this super deluxe villa rental in Jamaica offers the most comfortable bedrooms with wide open spaces, spectacular ocean views and cool trade winds. 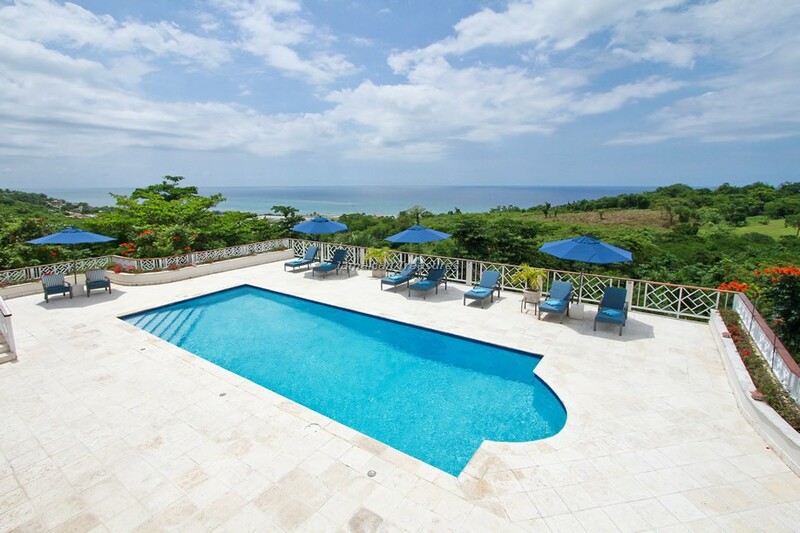 Five bedrooms are on the ground level, fully furnished with professional interior designs. 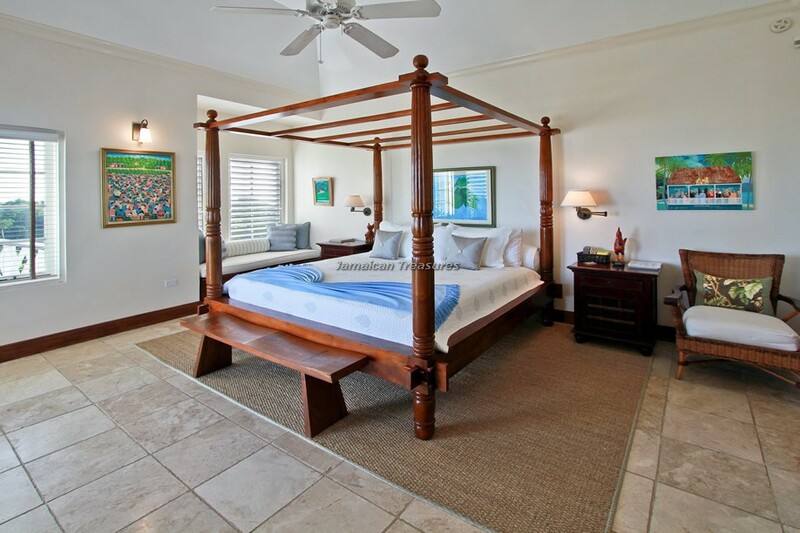 There are three master suites with oversized tubs, separate showers, and king-sized beds. 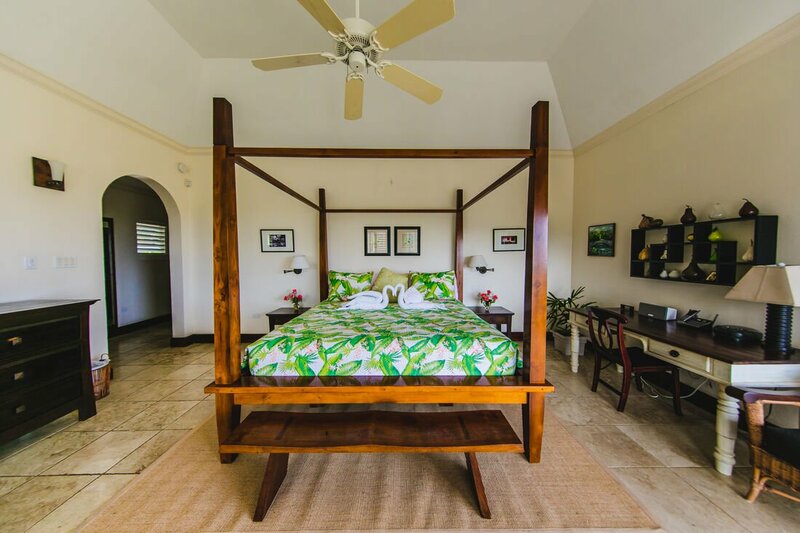 There are five additional bedrooms, one with a queen-sized bed and four with flexible twin beds. 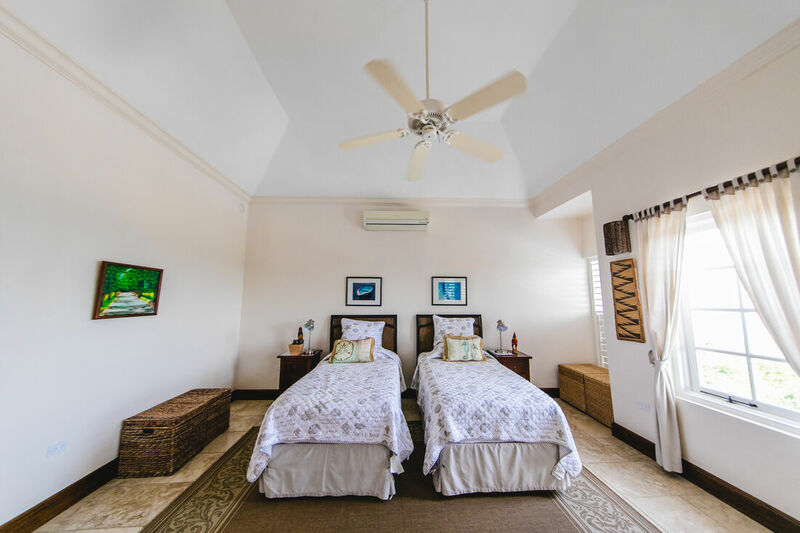 Six of the bedrooms have spectacular views of the sea, and are equipped with televisions, air conditioning, ceiling fans, and brand new en suite bathrooms with top of the line fixtures and handsome granite and tan tiles, that make this brand new villa most inspiring! 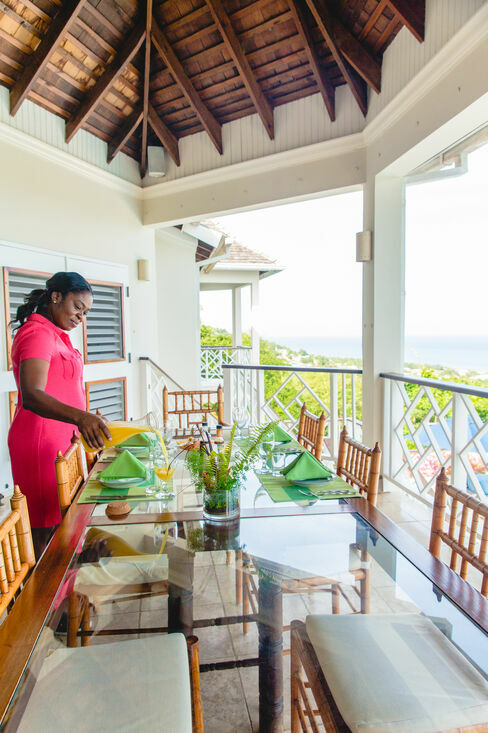 Guests may also indulge themselves in the finest bath amenities and robes presented especially with their comfort and relaxation in mind. 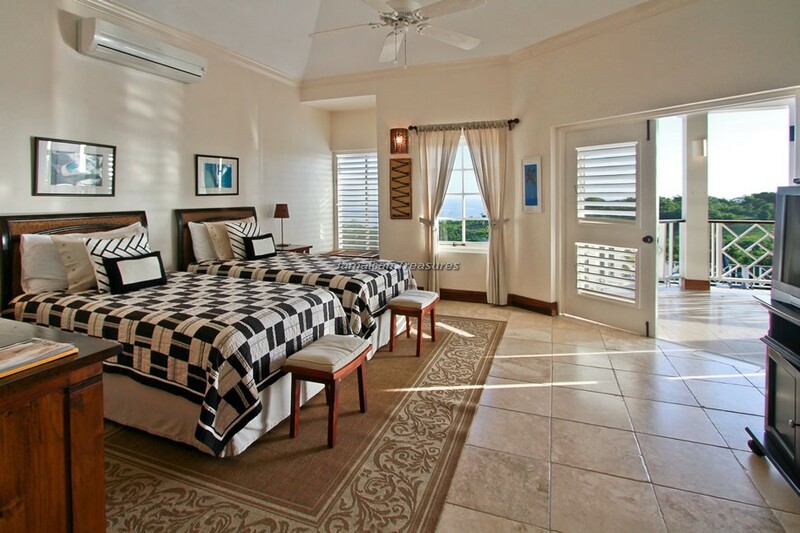 For the couple looking for privacy, a bedroom is tucked away and only steps away from the swimming pool. 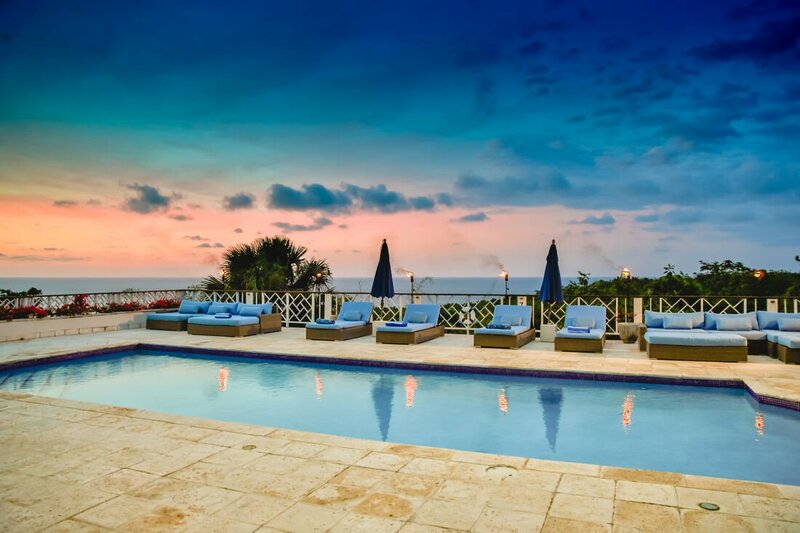 Guests can enjoy the spectacular sunsets and views of the Caribbean Sea from this special hideaway. 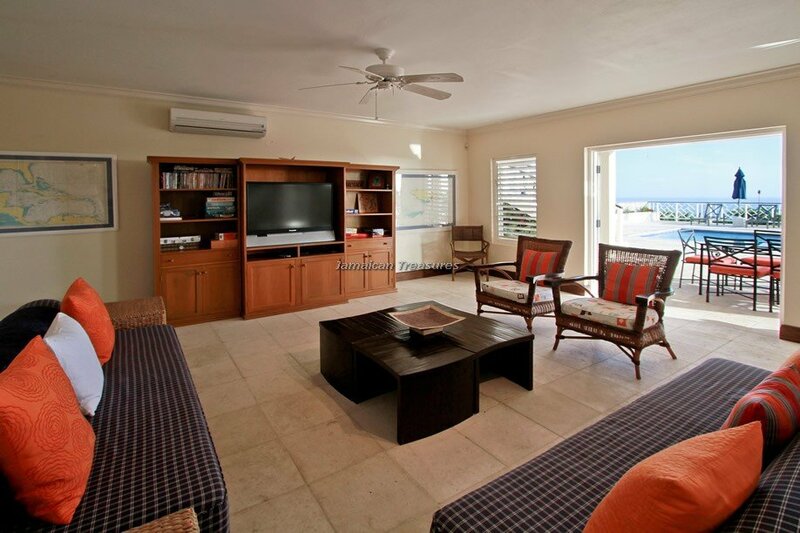 It is fully equipped with its own en suite bathroom, air conditioning, television, ceiling fan and more. 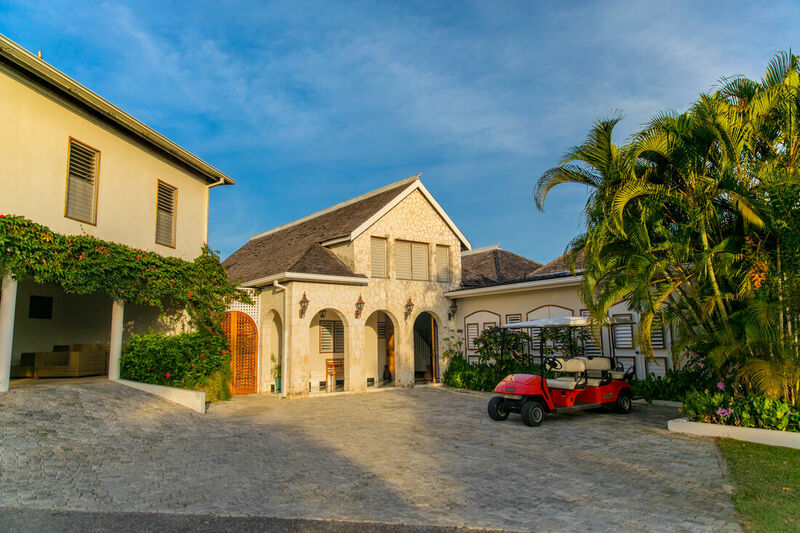 To facilitate guests who wish to explore Tryall's 2200 acres, Haystack Villa offers two complimentary golf carts. 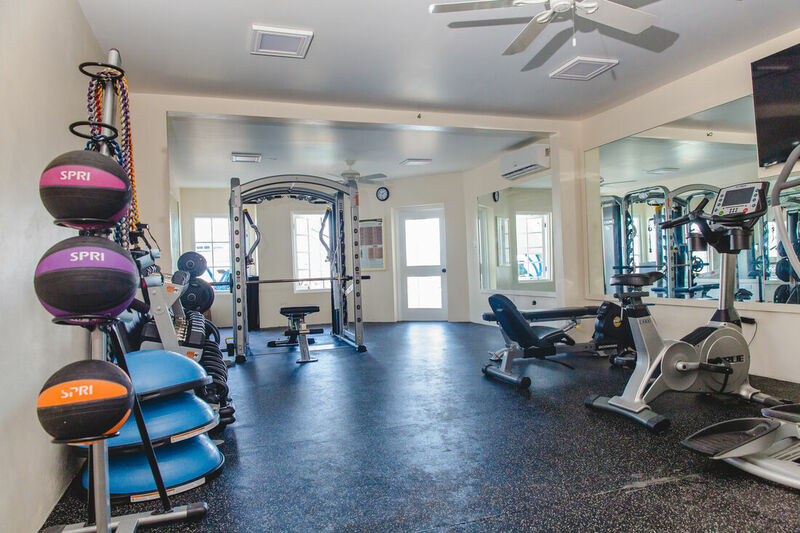 The beach is only three minutes’ golf ride away. 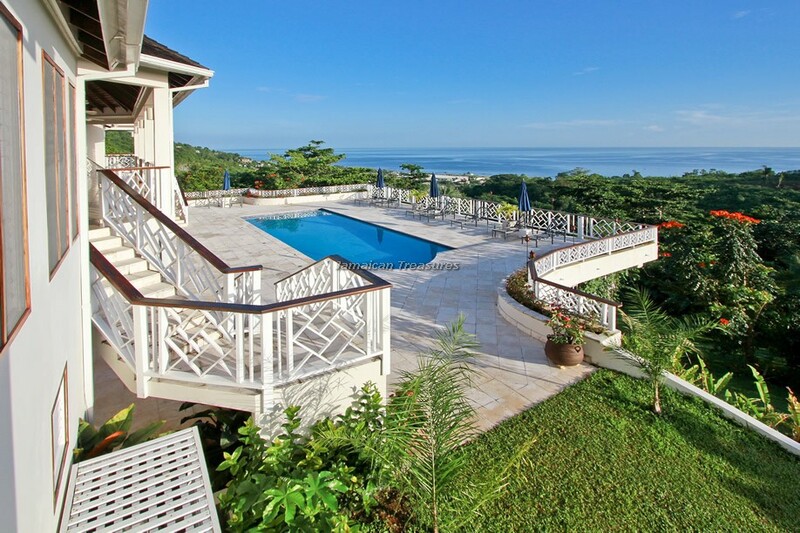 All guests at this Jamaica villa may enjoy the facilities of the Tryall Club. 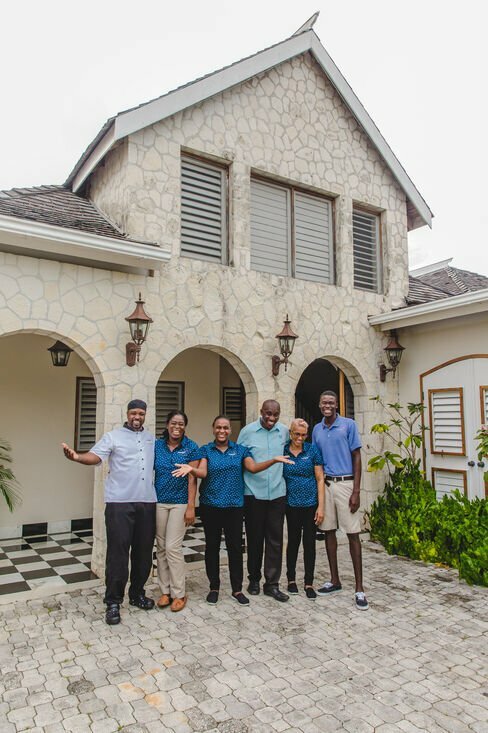 The private welcoming staff of eight at Haystack Villa comprises a superb team including the butler, cook, three housekeepers, laundress and two gardeners. 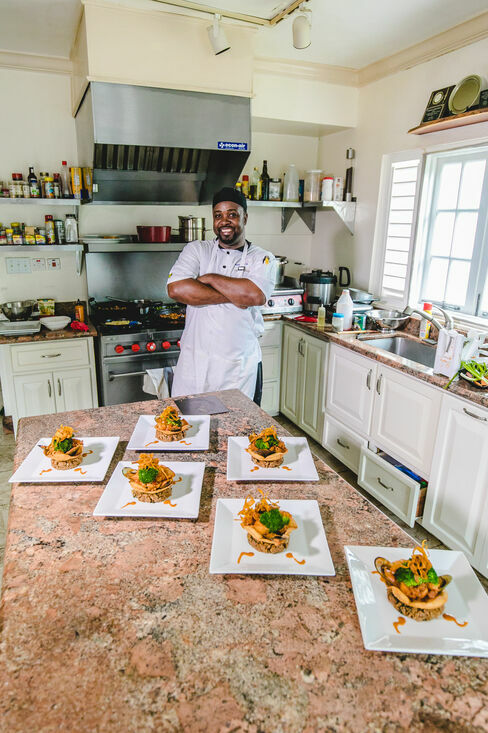 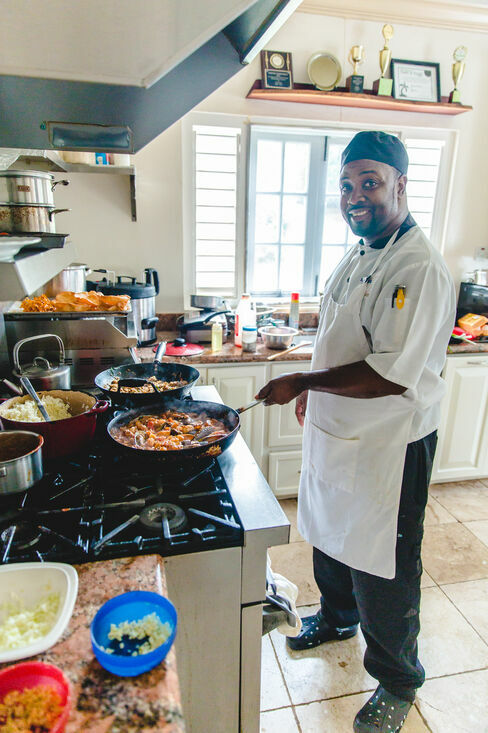 Guests enjoy sumptuous meals lovingly created and served by the wonderfully hospitable staff at this luxury villa Jamaica. 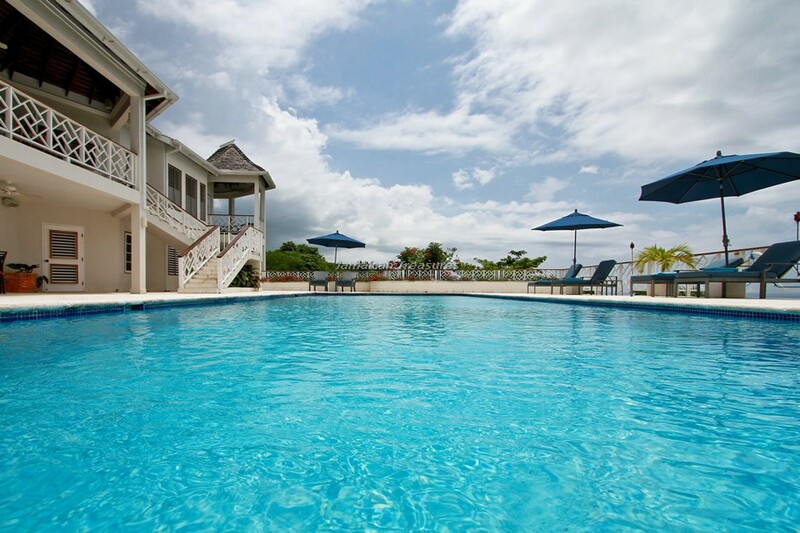 Haystack Villa has a large and wonderful heated swimming pool. 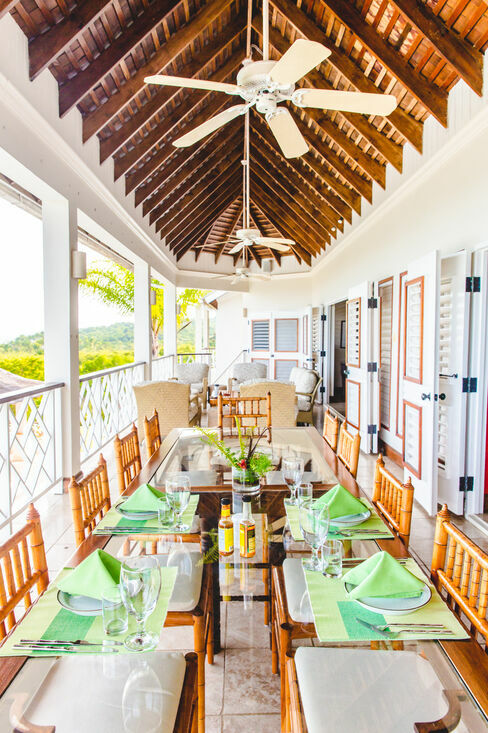 Pool access is secured on the main verandah by baby gates. 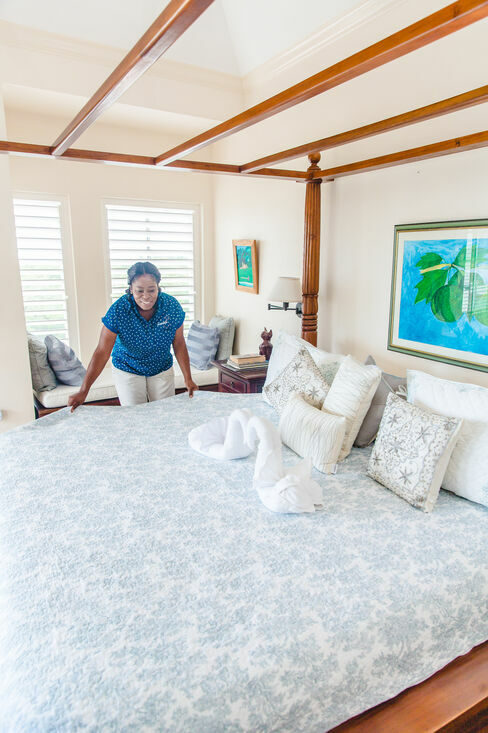 Bedrooms 1 & 2 ~ 2 Master bedrooms with king-size beds, en-suite bathrooms, hot tubs, separate walk-in showers and double-basin vanities. 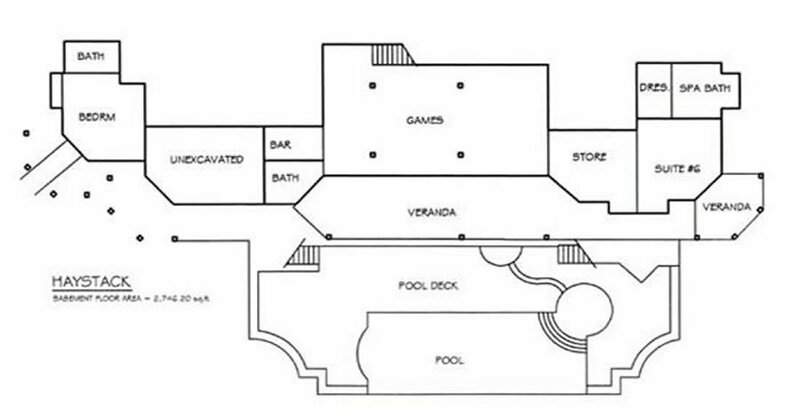 Bedroom 3 ~ 1 Master bedroom with queen-size bed, en-suite bathroom, hot tub and separate walk-in shower and double-basin vanity. 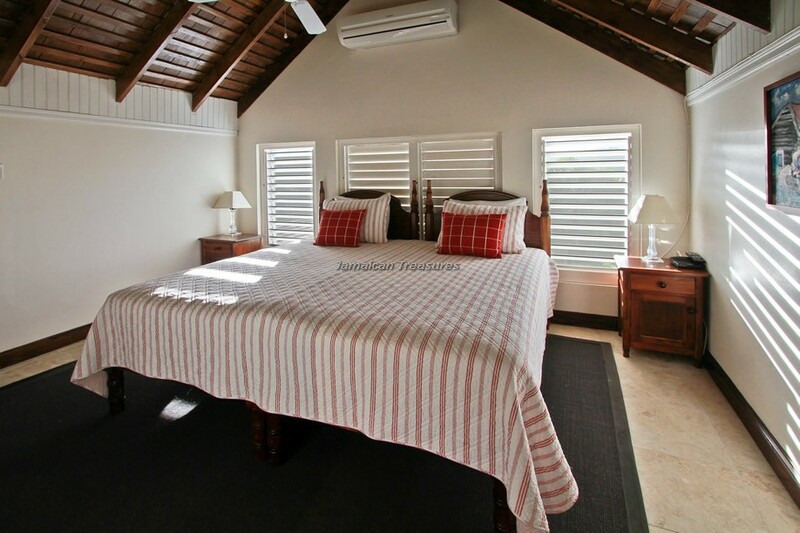 Bedrooms 4 & 5 ~ Optional king-size or twin beds, en-suite bathrooms, tub/shower combination. 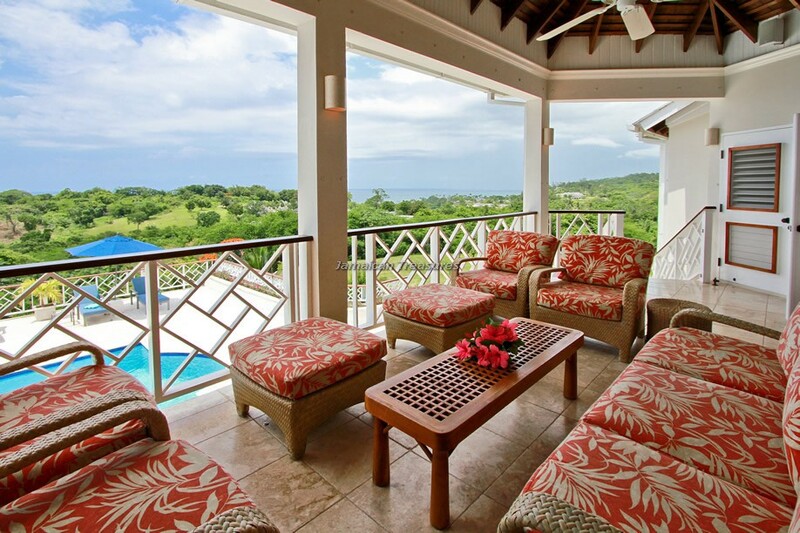 Each of the five bedrooms opens to a private balcony and lovely sea view. 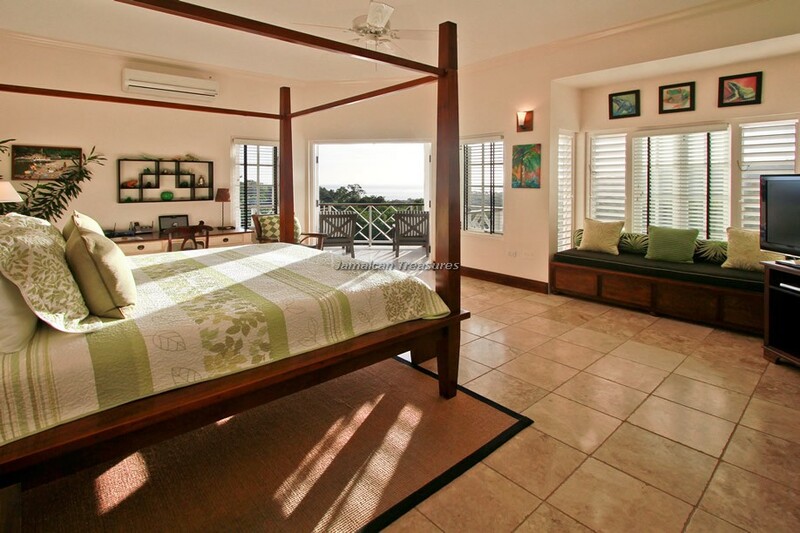 An internet office adjoins the west master bedroom for quiet time on guest’s laptop. 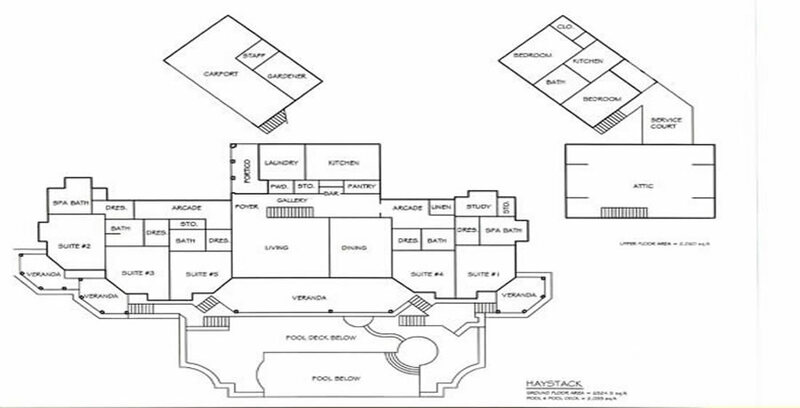 On the west wing, 37" televisions, on the east wing, 32" televisions. 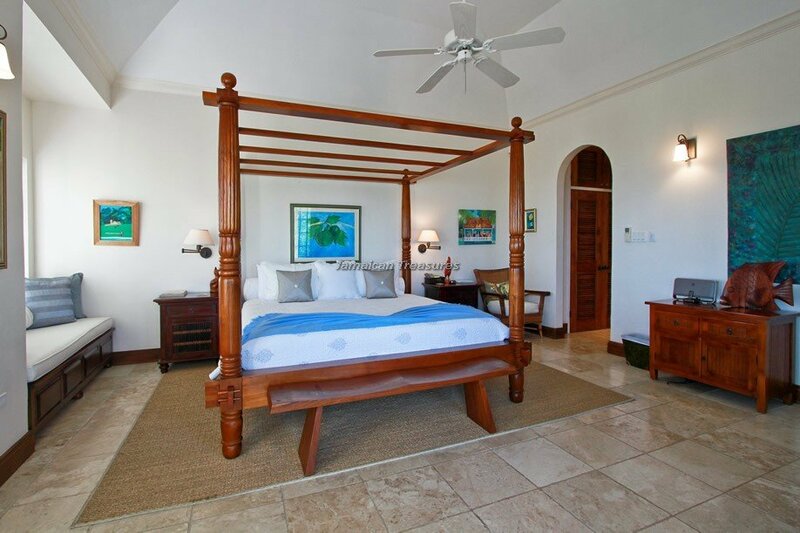 Bedroom 6 ~ Down one flight of stairs, a very private bedroom on the pool terrace level, king-size bed, en-suite bathroom with walk-in shower, 27“ television, opens to private patio and pool terrace. 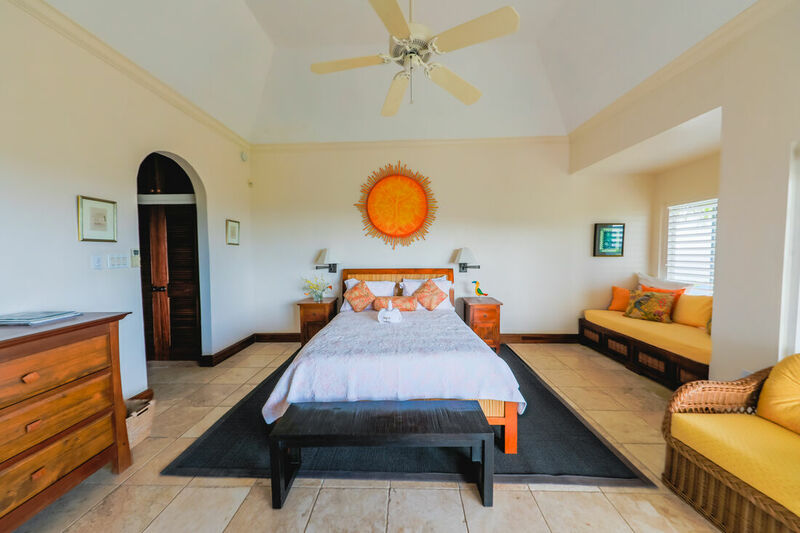 Bedrooms 7-8 ~ Up one flight of stairs, a hideaway located under a peaked cedar roof, two bedrooms with optional twin beds or king-size beds separated by a casual television room, furnished with comfy bean bags for kids. 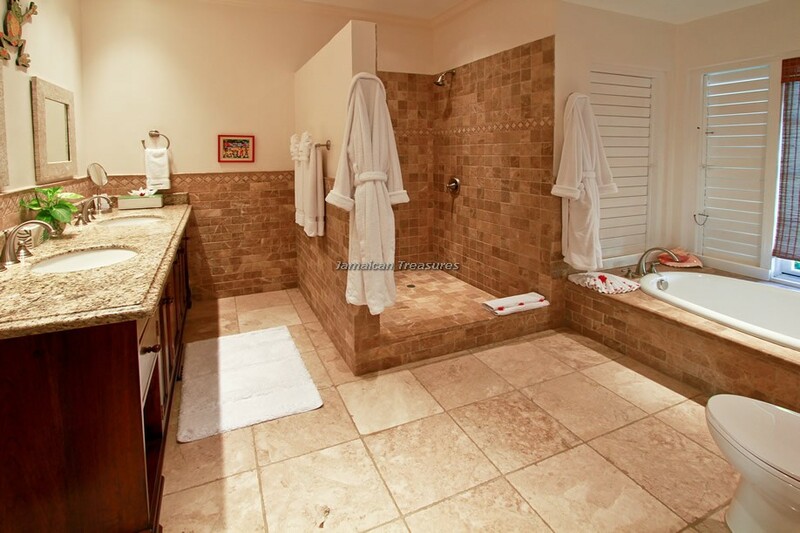 Italian Frette pique bathrobes are provided in each suite. 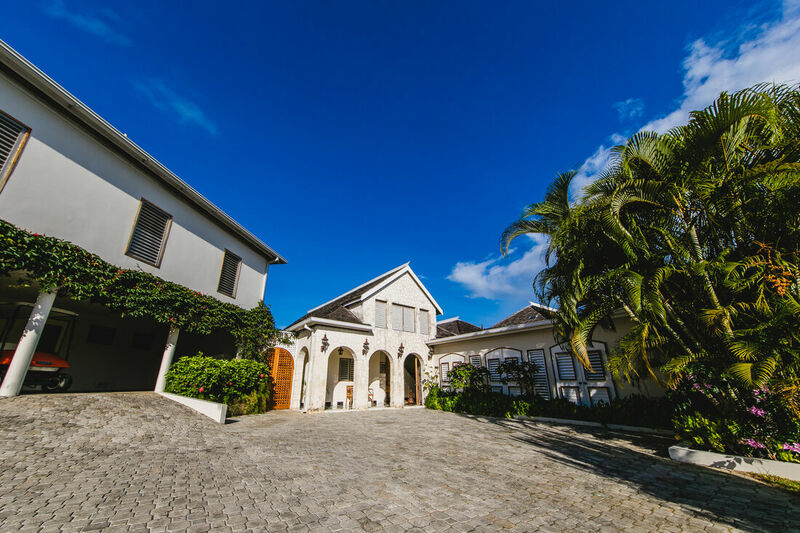 For larger groups, we recommend Haystack’s sister house just across the lawn, Bougainvillea on the east and Rose Cottage with 6 bedrooms on the west. 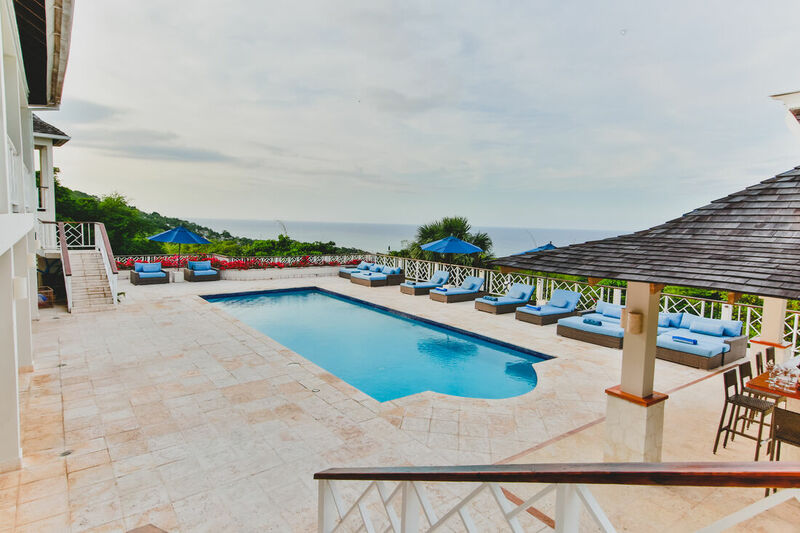 When combined, these three Premier properties provide 19 bedrooms, 3 heated pools. 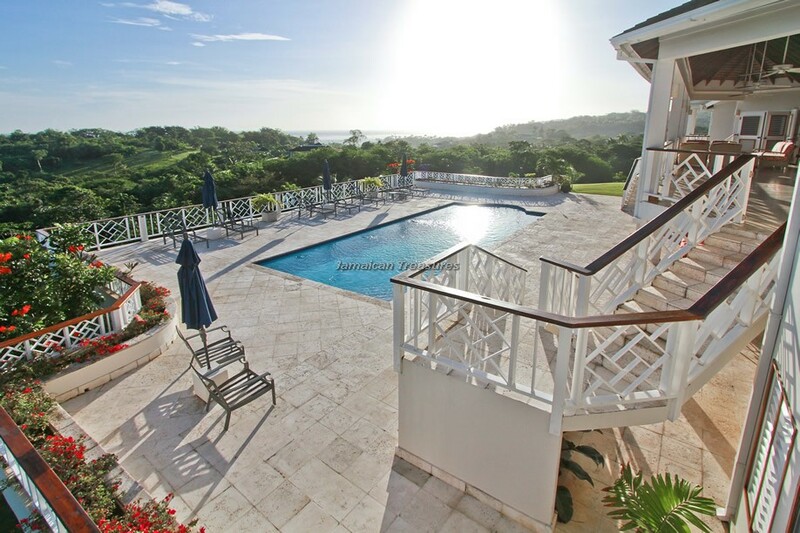 Tryall's Golf Course measuring 6,221 yards, par 72 course is considered to be one of the finest in the Caribbean and is the pride of Jamaica. 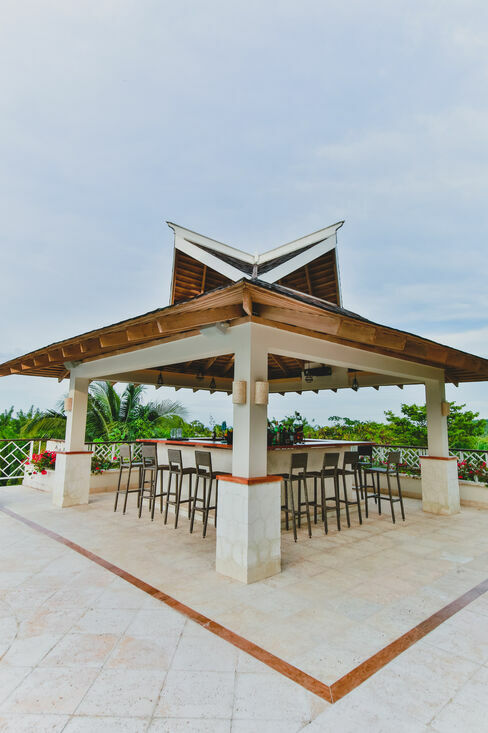 It attracts the leading golf players and prestigious international events, including the Johnnie Walker World Championships, Mazda Championship and many more. 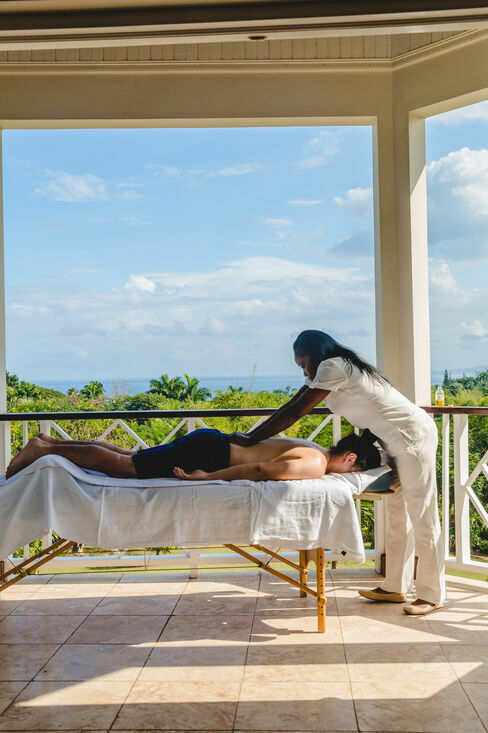 Tryall's white sandy beach is only a 2 minute golf ride away, as are the large swimming pool at the Great House and the beauty salon, massage treatments and reflexology treatments. 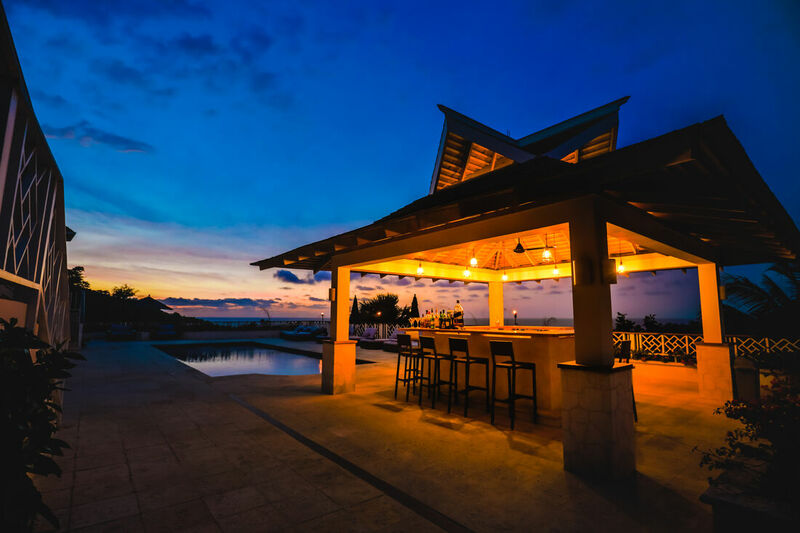 Hobi Cat sailing and sunfish sailing are complimentary. 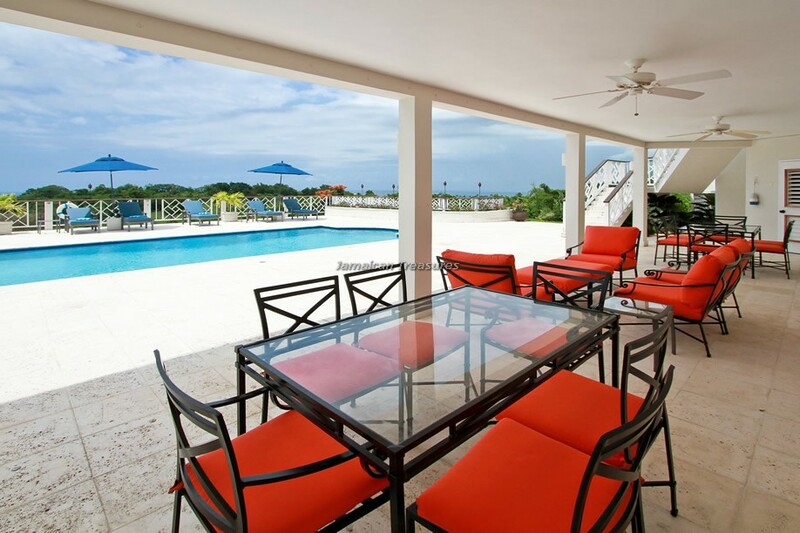 Sea kayaks will accommodate up to three people. 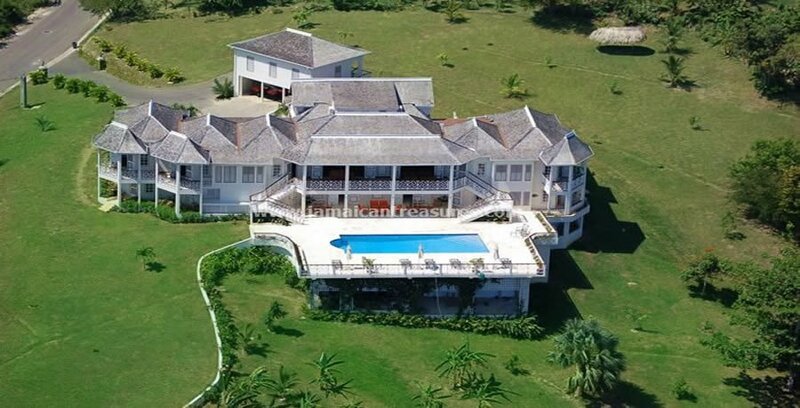 Snorkels, masks and flippers are provided. 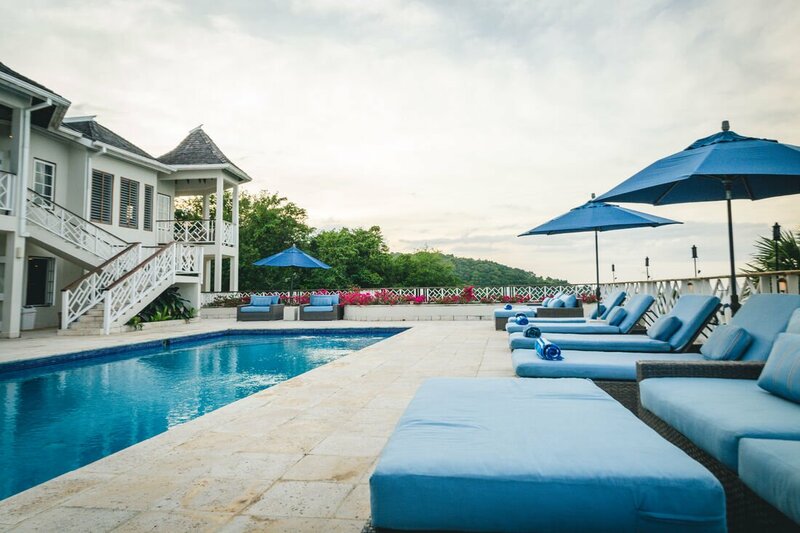 Guests can also take a leisurely swim to the coral reefs 100 years off this private beach. 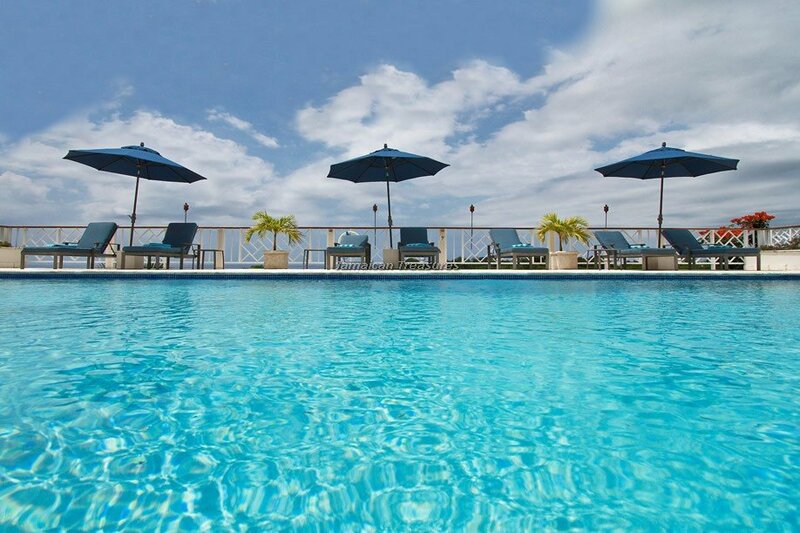 Haystack has a large, wonderful heated swimming pool. 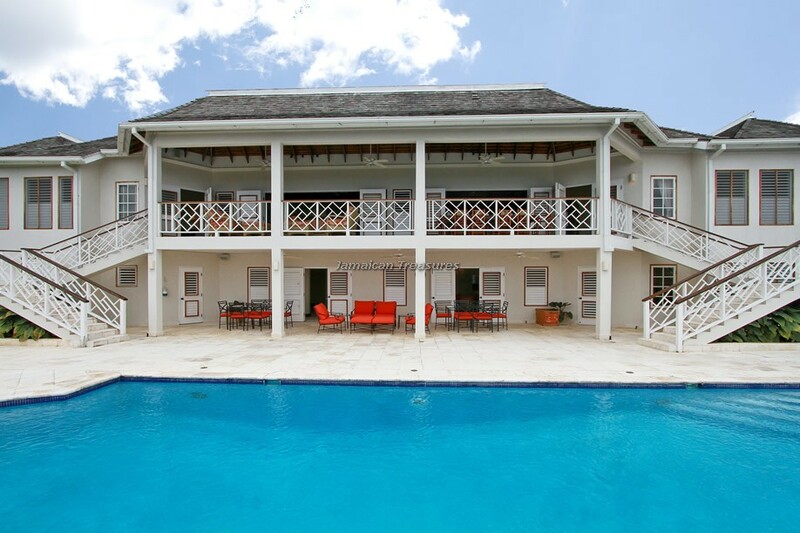 Pool access is secured on the main verandah. 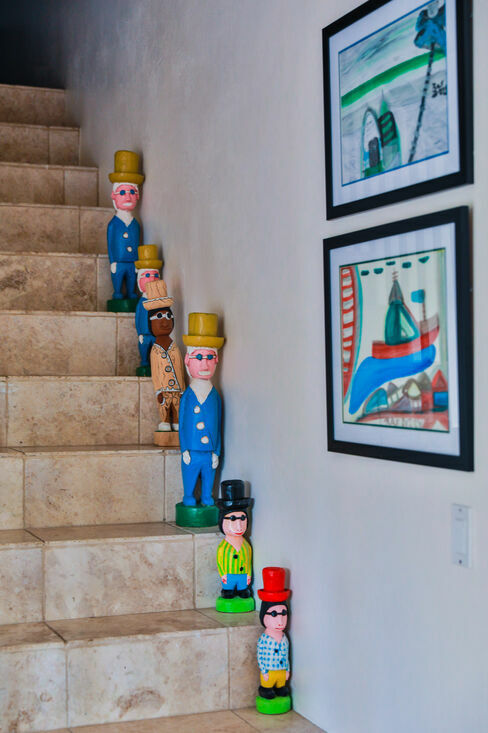 by baby gates. 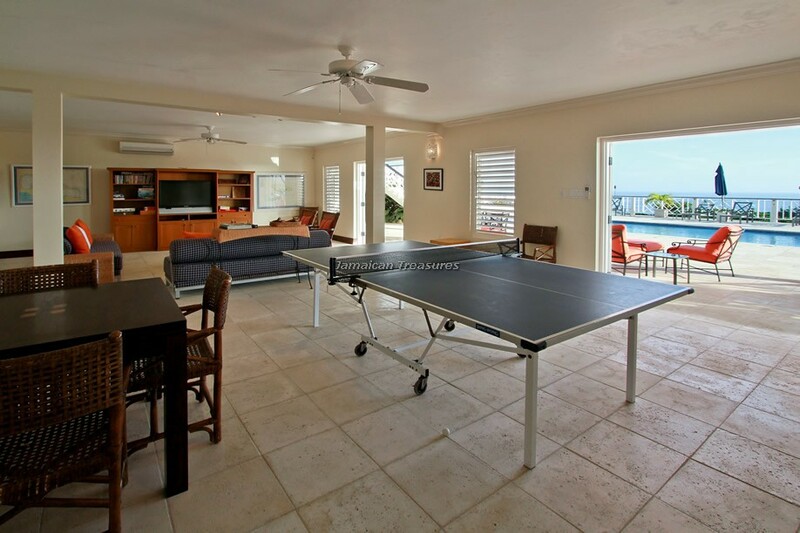 On the pool level is the spacious Family Room with ping pong, foosball, games table and 44” flat screen television. 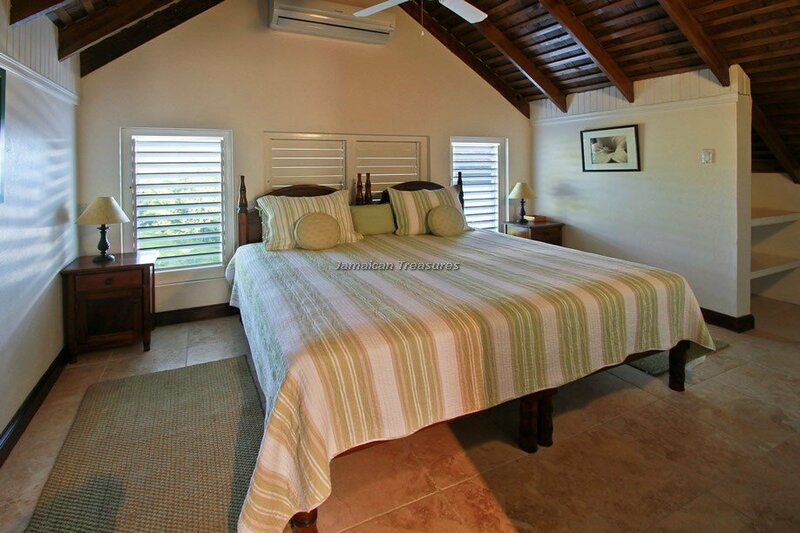 Notable are Haystack’s handsome granite and tan tile en-suite bathrooms. 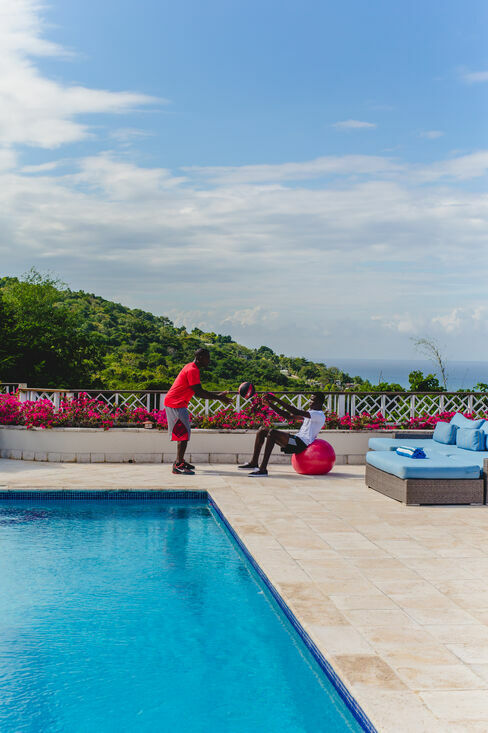 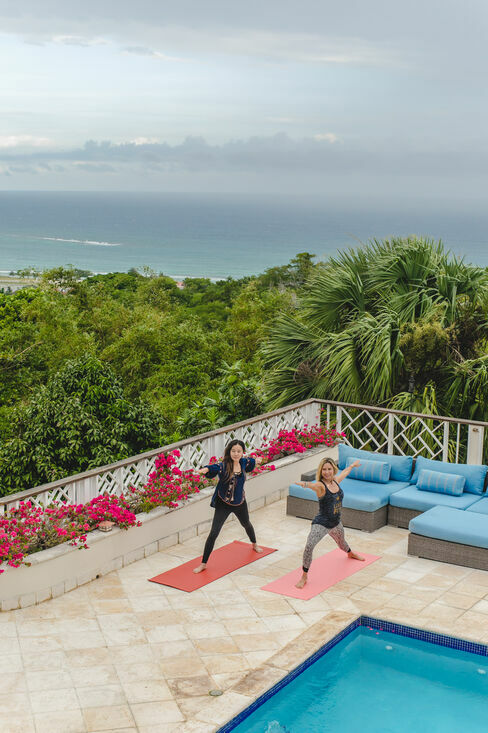 Tryall Club will require all villa and condo guests to become members during their stay via a Temporary Membership Fee of 130 (US$) per week for each guest 16 or older, or $30.00 (US$) per day per person for stays of less than 7 days (inclusive of tax).